i did make it by the alden store last week when i was in new york (one of the only stops we made besides our meetings). i tried on the 986 cordovan loafers. i took a few steps around the store and decided to wait (my co-workers didn’t share my enthusiasm for aldens plus we were pressed for time). 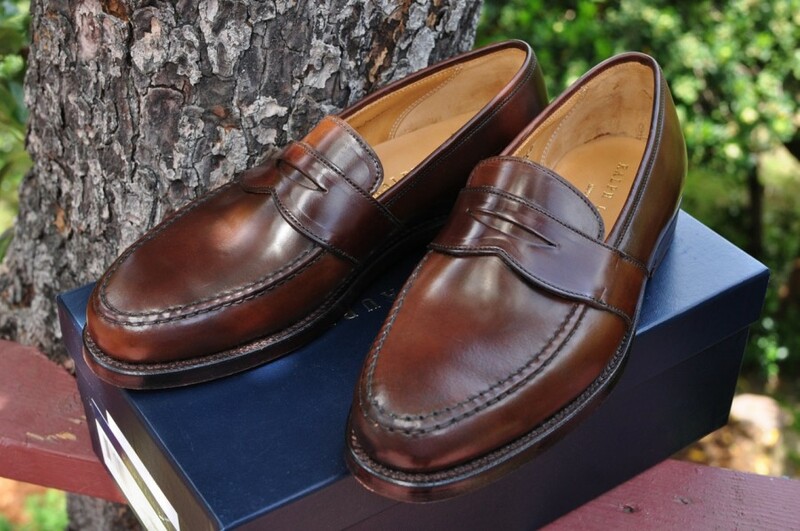 now that i’m back i can’t make my mind up between the loafers or the wingtips in the cordovan color 8. my shoe collection lacks a pair of wingtips, but everyone i know swears by the 986 loafers. which one do you prefer? today i saw the image above on almost every tumblr i follow. it’s jason bateman sporting a pair of industry of all nations loafers while filming his new movie the longest week. i really like the way the saddle color looks with a navy suit. i don’t know too much about industry of all nations except that they try to produce products in the countries they originated using materials and local businesses in those countries. basically, when you buy these shoes, you help out a poorer country. you might as well. it’s the holiday season. the internet is full of questions regarding style. 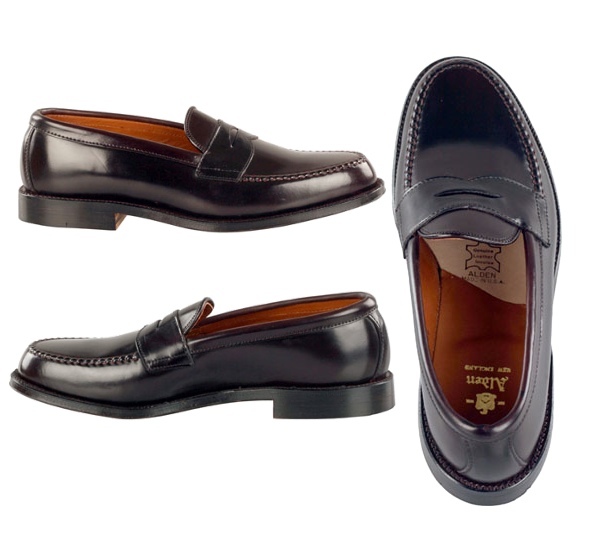 one such question of interest is whether or not it’s ok to wear loafers with a suit. to be honest with you i didn’t really think this was much of a question until i saw the film frost/nixon in 2008. richard nixon has a hard time trusting david frost because he wears gucci loafers with his suit (obviously there’s more to it than that, but it’s one reason nixon questions frost’s credentials). quasi-spoiler alert: after the interview, the movie ends with nixon opening a present from frost which is a pair of gucci loafers. classic scene. so after seeing the film, i started to question whether or not i should be wearing loafers with suits. i went to the internet for answers. glenn o’brien says he wouldn’t do it and that “loafers are for loafing.” interesting take from one of my heroes. 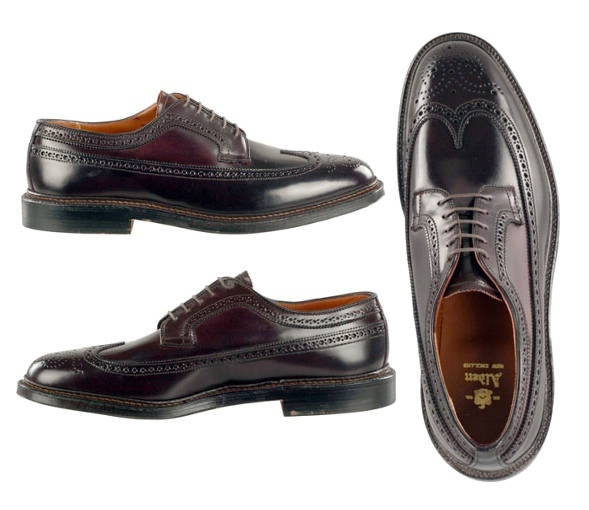 and if you dig deeper, it seems more traditionalists prefer lace-ups to loafers when wearing a “business” suit. well, i’m going to have to disagree. in the south, i would say 70% of men wear only loafers with their suits – my father being one of them. i’ve never seen him wearing anything besides classic gucci bit loafers with his suits. now, i’m not saying all loafers are appropriate with business suits. remember cheap loafers don’t look good with anything. stick with well known brands that make quality like gucci, allen admonds, ralph lauren or alden. nice shoes are the one item of clothing i would insist you spend money on. they make a difference. recently i’ve noticed ryan gosling has been kicking around a pair of beat-up burgundy loafers. last night i caught this picture (above) of him wearing them with a brown suit. he nails the look, but i’m not sure who makes the loafers. i did some internet recon and came up with nothing. i checked out the usual suspects mentioned in the previous paragraph and still couldn’t find a match. 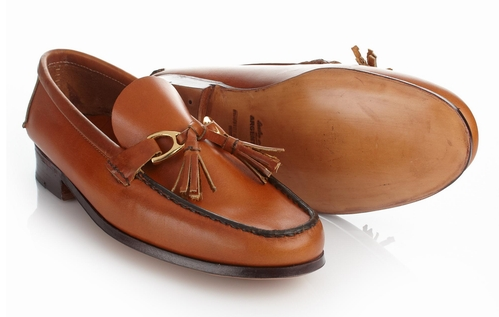 the closest thing i found were these crockett & jones for ralph lauren polo loafers below. if you have any information on the whereabouts of ryan gosling’s loafers, please leave them in the comments section. 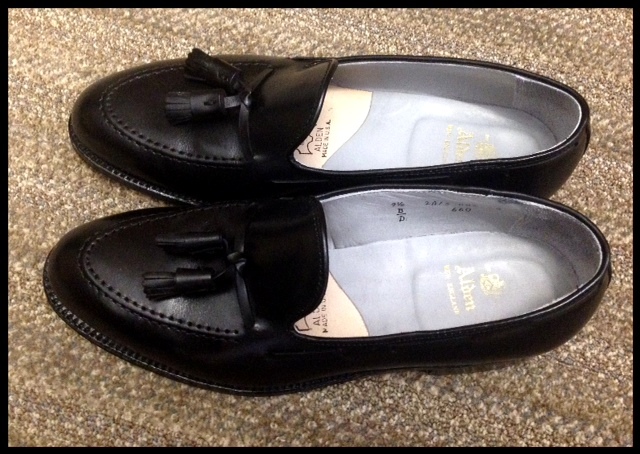 update: i believe the loafers gosling is wearing are in fact made by gucci, but i still can’t find a perfect match. i’m wondering if they’re part of the archive collection coming out this fall. i’ll stay on it. last night i had the pleasure of attending an open forum with 4 of the gentlemen that helped form michael jackson’s career. it was an incredible evening to hear them tell stories about the late king of pop. 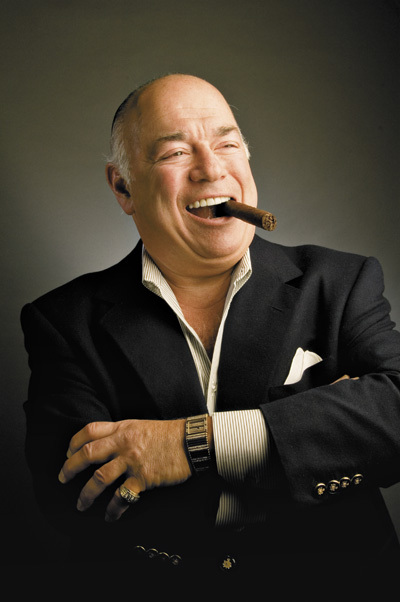 frank dileo (above) – who managed michael during the 80’s – is a cool cat. he was sporting a double breasted blazer with jeans and chewing on a cigar. the real kicker though was his shoes and socks. in what may have been a tribute to michael, dileo had on black penny loafers with white socks. it was definitely the first thing i noticed. i’m not saying that frank was impeccably dressed, but when you have as much confidence as he has then you can wear whatever the hell you want.